Radnor, PA – November 1, 2018 – Community Energy, Inc., (a solar developer) announced with Key Equipment Finance, one of the nation’s largest bank-held equipment finance companies and an affiliate of KeyCorp (NYSE: KEY), that a $7.8 million tax lease and a $1.9 million term loan has been provided in financing for community solar projects in Massachusetts totaling 3.75 MW (DC). The community solar projects are split between solar farms in the Towns of Barre and Rutland and will generate remote net metering credits. A Massachusetts commercial customer will purchase half the generation output, with the remainder purchased by residential community solar subscribers. Community Energy has been pioneering renewable energy development and marketing for almost 20 years. Since its inception in 1999, Community Energy has led the development, financing and construction of over 1,500 MW of wind and solar facilities. 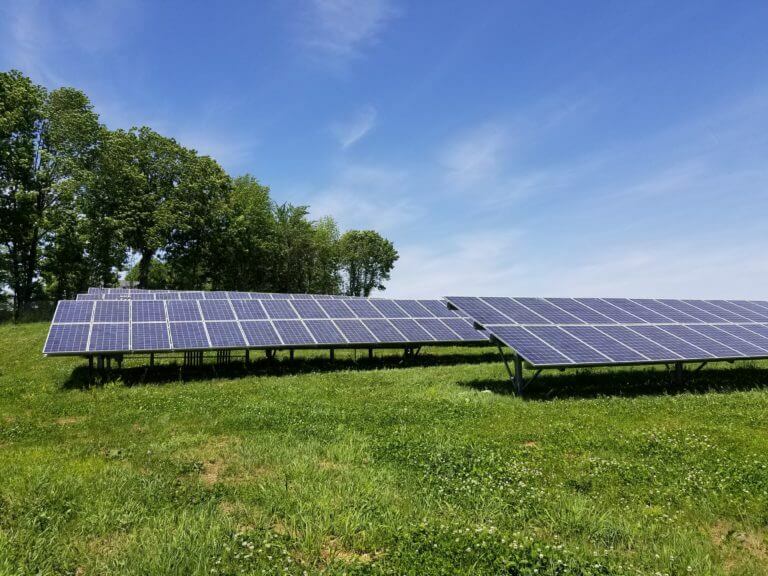 Community Energy operates and manages some of the nation’s first community solar projects with residential and commercial customer subscriptions. Much needed community solar projects like this one help the energy market, educate communities and offer a local, cost-effective energy source. Community Energy continues to innovate and lead renewable energy into new markets. For Massachusetts, Community Energy used sale-leaseback financing, which includes a Power Purchase Agreement and allows monetization of the tax benefits, inclusive of the investment tax credit and depreciation. In this solar tax lease structure, Community Energy owns and operates the system and sells the power. Community solar projects are built within the local region using the best solar technology and design to provide cost-effective solar under utility programs like this one with National Grid that allow businesses and residents to purchase a share of the solar electricity generated by the project. The customers get the full solar benefits, including locked in electricity prices, without the need to build solar on what might be less-than-ideal sites on their property. Customers are motivated to take their own steps to reduce their footprint and meet their electricity needs from solar power for years to come. For corporations, renewable energy is an increasingly important part of corporate environmental sustainability strategies, and community solar is one way to achieve that goal. For Barre Solar, 7,434 Hanwha 330 watt modules are installed, and for Rutland Solar, 3,927 Hanwha 330 watt modules are installed both on fixed tilt, ground-mounted racking provided by RBI Solar and interconnected to the National Grid electric distribution system at 13.8 kilovolts with SMA string inverters. The 3.75 megawatt (DC) system will eliminate over 7.8 million pounds of carbon dioxide from the atmosphere annually which equals the use of approximately 8,000 barrels of oil. The lifetime environmental impact is equivalent to over 75,000 trees planted. Community Energy has developed and financed over 1,500 MW of renewable energy power projects across the country, including 800 MW of solar power. Community Energy combines power marketing and development expertise to build renewable generation projects economically and at scale; and has been a leading renewable energy developer for almost 20 years, developing many of the first and largest wind and solar projects in the United States. Community Energy is headquartered in Radnor, Pennsylvania with offices in Boulder, Colorado, and Chapel Hill, North Carolina. For more information about Community Energy, please visit https://www.communityenergyinc.com/. Key Equipment Finance’s specialty finance group includes a specialty finance lending team, which provides structured facilities to various sectors of the specialty finance market, and a lease capital markets team to support corporations looking to optimize risk and revenue. Headquartered outside Denver, Colorado, Key Equipment Finance manages nearly $13 billion in assets and originates nearly $6 billion of equipment financing annually. For more information, visit http://www.keyequipmentfinance.com.